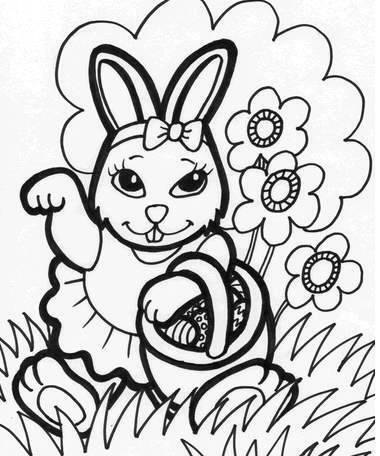 My Family Fun - Happy Easter Coloring Pages Free printable pages of Easter! Color the rabbit and the eggs. Free printable pages of Easter! Color the rabbit and the eggs.